It is imperative to be wise with money whether you are someone on a tight budget or not. A lot of people get really stressed out about money handling because they don’t know how to manage them properly. It can get really stressful to the point that you can make bad choices along with that stress. Money matter is important, and this is not an implication that money is everything. However, money is definitely an important matter for almost everyone because it is part of the daily life activities. Almost every move you make, money is definitely involve one way or another. That is why if you are someone who is still in debt, you should know the better payment options you have to avoid drowning in liabilities. 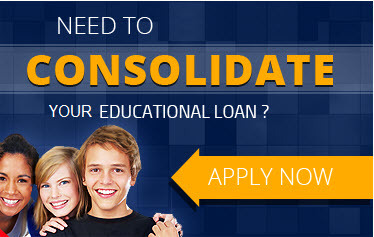 It is common that there are a lot of people who studied in schools or universities have student loans. Education is definitely an investment that is why it is no surprise that a lot of people are still in debt with student loans. Remember that loans are still business, especially the private ones. Though they may have the best interest for your loan situation, they would still want to get profit from their business. After all, everyone just tries to make a living out chosen careers and industries. If you don’t know or not aware of your student loan payment options, you might just get in trouble big time. Here are the reasons why it is important to know your payment options. A debt build up is definitely one of the scariest financial situations you may be in. As much as possible, you would want to stay away from making your debts or loans much worse than it already is. There is nothing more uncomfortable than waking up every morning trying to figure out how to pay everything at once. Knowing your options is always beneficial and there is really no disadvantage to it other than knowing more vocabulary words. It is really just a matter on how you look at it. That is why it is always encouraged for borrowers to really familiarize with information necessary in the world of student loans. Remember that borrowing is a big responsibility. People make serious money from it and that is the main reason why borrowers should also take it very seriously. If you know well your payment options, you might even reduce your balance. These things can really happen, especially if you really get into those plans that loan providers give. This is what gets people to give up on their loans and just run away as far as they can get. You can always run, but the consequence can damage your financial situation permanently. That is why running away from your student loans is a major restriction and this is solely for your own good. 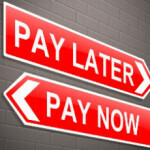 Another common decision that borrowers usually do is to postpone their student loan payment. While postponing your student loan payment sounds so much better than running away, that doesn’t mean it is the best decision for you. Postponing can do either do good or bad for you, depending on how you really handle them. However, there are a lot of better decisions for your student loan payments that can reduce your payment and stress altogether. Here are some of the proven ways that work well for student loan payment. The cardinal rule of loan is that payment is always the best option. This should come as no surprise to everyone because this is the most basic principle of borrowing. There are a lot of payment options out there that you can do. The most famous one is the income-driven payment plans because it is the most convenient and stable way to pay your student loans. This is definitely better than having to postpone your payments resulting to additional interests. Think of these as your aces in your cards. You should only use it if this is the last option that you have. If you play your cards right, or your deferment or forbearance, it can lighten the load of your student loans. It is important to take note of the postponement options. In economic hardship deferment, you have up to 12 months and you can renew for the span of three years. 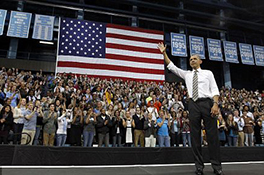 The unemployment deferment allows you up to 6 months for a maximum of three years. Finally in discretionary forbearance, you only have 12 months total. Don’t be fooled by the duration of these postponement options because they can really go fast without you knowing it. That is why you should always keep yourself updated and aware of your loan situation. Before you get into either of these loans, you should get to know them more by familiarizing yourself with the process of these loans. See what works best for you financial situation and really commit to it no matter what happened. Never back out from your responsibility as a borrower from any kind of loan holder you may have. Need more information about dealing with your student loans debt? We can help. Contact Assisting America at your earliest convenience.